Paul Pogba's stock might have dropped among fans this season after a turbulent few months, but that hasn't stopped United's hierarchy from making it clear they have no desire to sell their charismatic midfielder in January, reports The Telegraph. 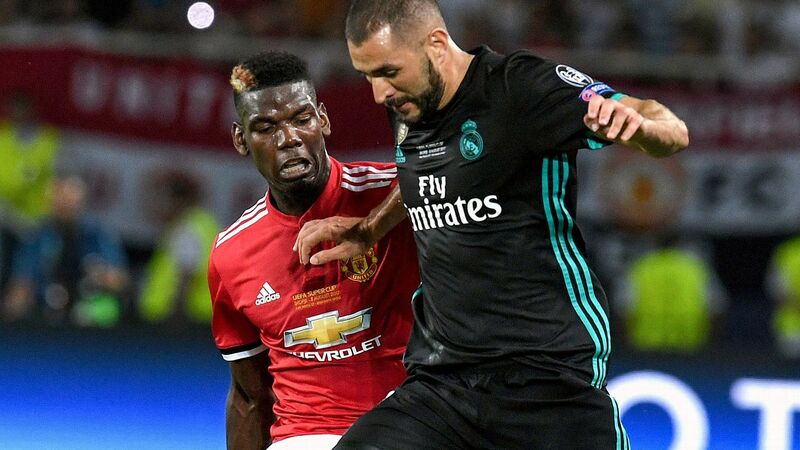 The France international had been keen to depart Old Trafford while Jose Mourinho remained in charge after several high-profile fallouts -- one of which saw the ex-Reds manager describe Pogba as "a virus" in front of teammates. 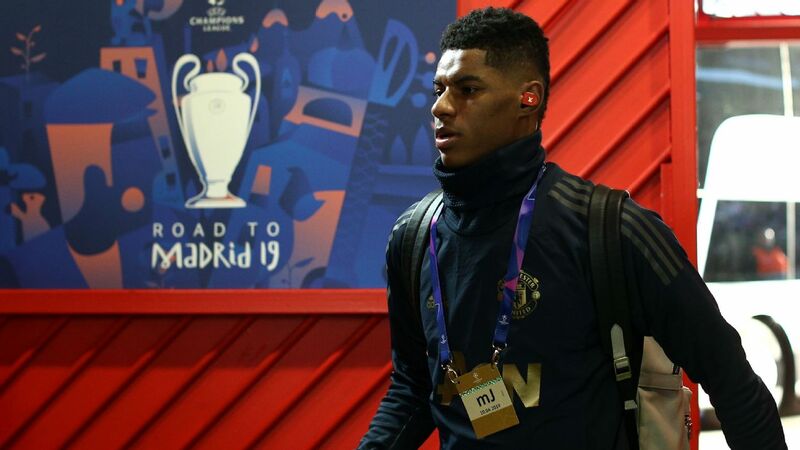 But The Telegraph reports that Ed Woodward deems the 25-year-old to be integral to the club's plans on and off the pitch -- a sentiment that won't have been diminished by Pogba's two outings since Mourinho was sacked -- meaning he has no intention of allowing him to leave. 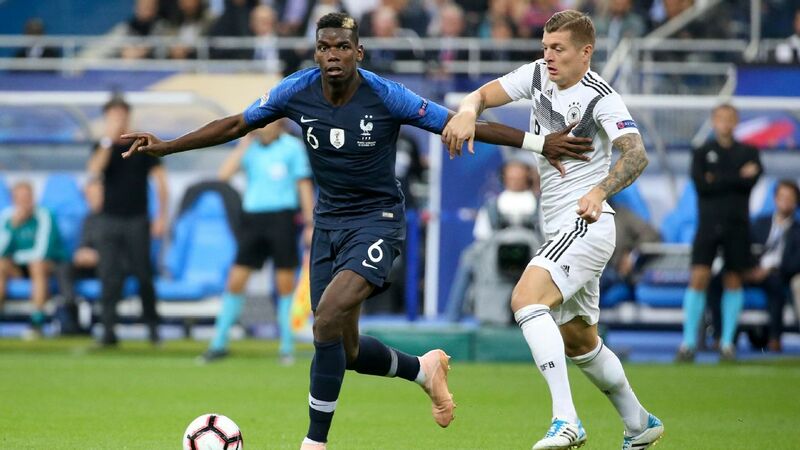 Juventus, Barcelona and Paris Saint-Germain have been linked with bids for Pogba in recent weeks, but it appears United are keen to shut down talk of a potential move. 23.30 GMT: That will wrap up another day of our LIVE Transfer Talk blog. The transfer window is just days away from opening so remember to keep an eye on this space in the coming days and weeks for all the rumours, links and "done deals" from around the world of football. Have a great weekend! 23.22 GMT: Wilfried Zaha to China? Earlier this week reports linked the tricky Crystal Palace winger with a lucrative -- reported £44 million over fours years -- move to Chinese Super League club Dalian Yifang. Palace boss Roy Hodgson weighed in on the reports regarding his star attacker at his pre-match news conference ahead of the Eagles' clash with Chelsea. "I find it hard to take seriously because I don't understand why someone who has such an enormous future at the very top level of the game in England and who has just signed a four-year contract with a very good salary at a club where he is very much liked and admired and respected, would decide I'm going to pass all that up and go to China instead," he said. Obviously Roy is biased being Zaha's current manager at Crystal Palace but he does have a point to some extent regarding the level of competition. That being said, £44m is a lot of cash to turn down! 23.01 GMT: Bayern Munich to move for Chelsea ace? No, not Eden Hazard. Callum Hudson-Odoi is the player we are referring to, with Sportsmail, via The Mirror, claiming Bayern Munich are set to make an opening bid of £13 million for the 18-year-old when the January transfer window opens. The talented youngster has already become a fan favourite at Chelsea but hasn't found much playing time under new boss Maurizio Sarri. 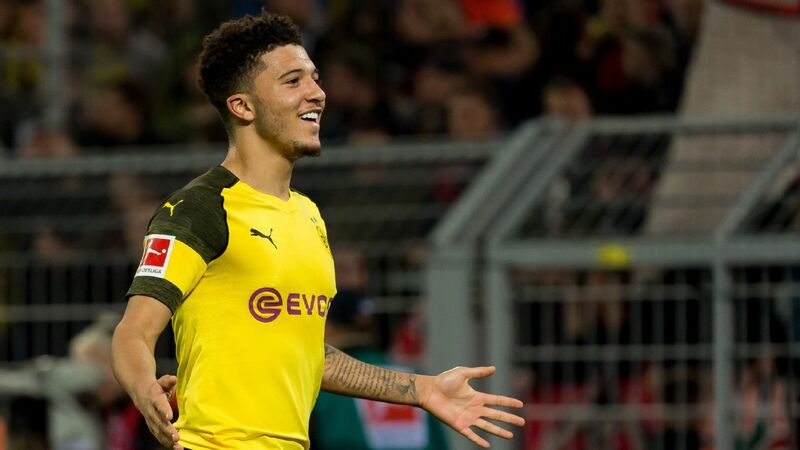 It is unlikely the Blues would sell such a highly-regarded talent but then again, English players like Reiss Nelson and Jadon Sancho have found success in Germany in recent years. Odoi has made five first-team appearances for the Blues this season, but alongside Ruben Loftus-Cheek and Ethan Ampadu, is widely regarded as one of the club's top prospects. One would think Chelsea would insert a buy-back clause in any deal for Hudson-Odoi, the Blues having learned the hard way in losing Mohamed Salah, Kevin De Bruyne and Romelu Lukaku. 22.29 GMT: -- DONE DEAL -- Shifting over to MLS for a moment, Real Salt Lake have signed their top player Albert Rusnak to a contract extension. Counting the playoffs, the 24-year-old Rusnak scored 11 goals, added five assists and created 77 chances last season for RSL. The extension will keep the designated player with RSL through 2021 and double the worth of his deal to nearly $2 million per season. "I wanted to stay with Real Salt Lake because this is the perfect place to continue to develop as a player," Rusnak said in a release. "I have really enjoyed playing for Real Salt Lake the last two years and I am now looking forward to us competing and bringing an MLS Cup back to the fans who have given me and my teammates unbelievable support." Rusnak is a full Slovakia international and has scored four goals in 17 caps for his country. 21.49 GMT: Sevilla have reportedly lined up a replacement for Ever Banega, in the event they sell the player in January. The Argentine playmaker has been widely linked with an £18 million move to Arsenal, who are coached by Unai Emery, Banega's former manager with Sevilla. According to the Seville page of Spanish outlet ElDesmarque, Sevilla have tabbed fellow Argentine Javier Pastore of Roma as a potential Banega replacement. Pastore signed with Roma this summer from PSG for £21.8 million but "El Flaco" has lost his starting position as of late and could be shown the door quickly from the Italian capital. With Banega's move to Arsenal looking to be moving closer and closer, Pastore will definitely be a name to keep a close eye on in January. 21.02 GMT: It is no secret that Chelsea defender Gary Cahill has been handed the greenlight to leave in January by Maurizio Sarri but where could the veteran defender land? Italian outlet NewsMondo claims that Cahill could do the unthinkable and trade Chelsea blue for Arsenal red next month. The 33-year-old, two-time Premier League winner has a wealth of Premier League experience and is in demand due to injuries to Arenal defenders Rob Holding and Konstantinos Mavropanos. Cahill is also being linked with moves to Roma and AC Milan but one would think the England international would be keen to stay close to home. 20.34 GMT: Leicester's rumoured move for Algerian ace Baghdad Bounedjah appears to be off. The 27-year-old striker, who has scored 60 goals for club and country this year, has signed a contract extension through 2024 with Qatari side Al-Sadd. In addition to Leicester, who previously employed Algeria stars Riyad Mahrez and Islam Slimani, Bounedjah had been linked with moves to Marseille and Leeds United. 19.59 GMT: Steve Bruce has yet to be confirmed as the new Sheffield Wednesday boss but rumours are already swirling that his first signing with the club is imminent. Football Direkt of Sweden, claims that the Owls have made an offer for Swedish centre-back Alexander Milosevic. The 26-year-old signed in his native Sweden with AIK earlier this year but is already being pursued by clubs abroad. Milosevic has five caps for Sweden and has had previous spells in Germany and Turkey. Football Direkt claims AIK have also received two concrete bids from Russia for the player, who would be a welcome addition to a Wednesday defence that has conceded 40 goals in 24 matches, the second worst record in the Championship. 19.06 GMT: Christian Pulisic has been linked heavily with a move to Liverpool and Chelsea in recent months. The Sun reports that another English side, Arsenal, have also launched a bid for Borussia Dortmund's highly-coveted American. Arsenal have reportedly had an initial £35 million bid rejected for the U.S. star and believe they will be priced out of a move for the player by Liverpool, who reportedly are willing to make an opening bid of £45m. The 20-year-old Pulisic has three goals and four assists in 18 games for Dortmund this season and recently finished second to Kylian Mbappe in the voting for the Kopa Trophy, an award given to the best young player in the world. 18.25 GMT: Here's an interesting one from the past. 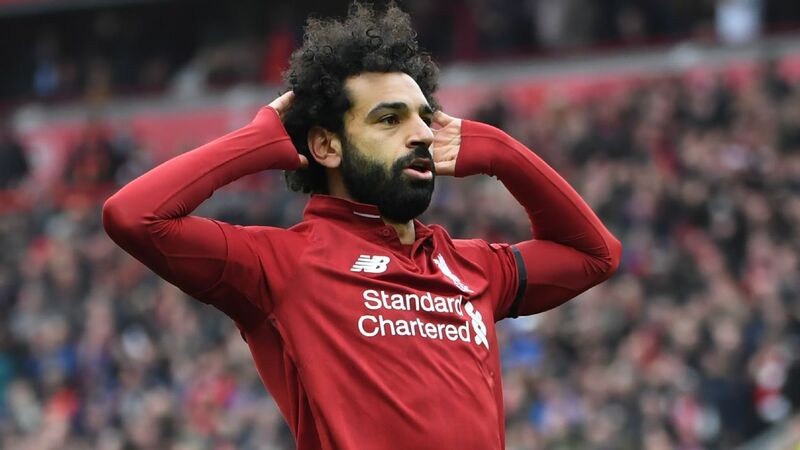 Arsenal boss Unai Emery has revealed that he and his PSG bosses passed on signing Mohamed Salah from Roma last summer based on ability. "We spoke about the possibility to sign Salah [to PSG] when he was playing in Roma, and we had some doubts," Emery said ahead of the clash against the Premier League leaders. These doubts have really not aged well as the "Egyptian King" has amassed 59 goals and 23 assists in 78 games for Liverpool since signing for £34 million in June of 2017. 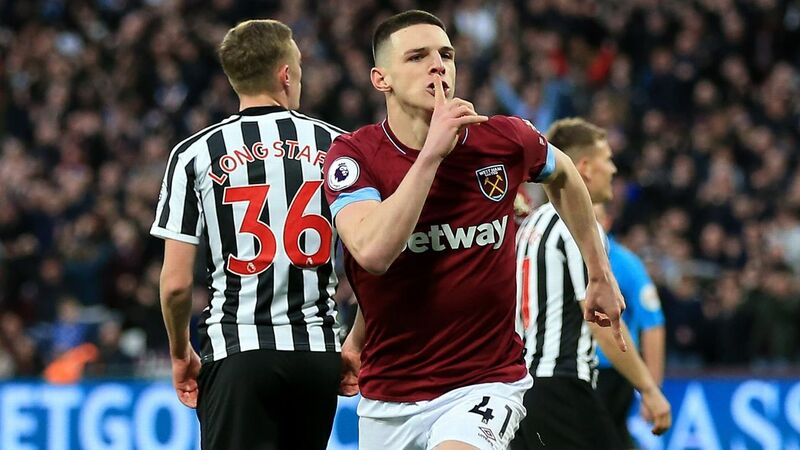 17.37 GMT: -- DONE DEAL -- West Ham have finally locked up prized youngster Declan Rice for the long-term. The 19-year-old was immense in the Hammers 2-1 win over Southampton on Thursday and has signed an extension with the club that will keep him in London through 2024. Rice had this to say about his new deal on the club's official website "Without a doubt, the plan was always to stay at West Ham. I've had the support from the fans, from the players and from the manager and now, to get it done and commit myself to this club is a very special moment and I'm over the moon." The 19-year-old has really caught the eye of late and is being pursued by both Ireland, who he has already played twice for, and England to play international football. 16.42 GMT: A report in The Mirror suggests Samir Nasri will sign a six-month deal worth £80,000-a-week to team up with former boss Manuel Pellegrini at West Ham. 16.01 GMT: Despite Milan's insistence that Gonzalo Higuain is going nowhere, La Stampa believe the Rossoneri have their eyes on signing another striker in Torino's Simone Zaza. 15.04 GMT: Don't you just hate it when a good rumour gets scotched by the people involved. Looks like Gonzalo Higuain won't be joining Chelsea if you believe AC Milan chief Leonardo. He told Sky Italia: "My relationship with him [Higuain] is very direct, he has a very important role for us, and he knows it. We have never had any doubts about Higuain; no requests from Chelsea, nor has he asked to leave." 14.55 GMT: Bayern Munich have been linked with an €80m move for Atletico Madrid defender Lucas Hernandez and he's not exactly batted away the rumours. "There are plenty of clubs in Europe that make me dream, but I will not tell you which ones," Lucas told Le Figaro. "If have to leave tomorrow because a project interests me, I'll think about it. "I am very happy in Madrid and Spain, where everyone has trusted me for a long time. But in football there are a lot of offers and every time I have to weigh up the pros and cons to make the best decision possible for me, my family and the rest of my career." 14.41 GMT: Chelsea are resigned to losing Cesc Fabregas on a free this summer but sources have confirmed to MARCA that his next step will be a "European project." A number of outlets are quoting the paper saying that Monaco are interested in him but Marca actually just say "that's difficult since they're in the relegation places and completing a horrible season." So that one might be a bit of stretch, sorry Thierry. 13.49 GMT: Gary Cahill is surely going to be finding a new club in January as Maurizio Sarri has made it quite clear he doesn't fancy him at Chelsea. But the Daily Telegraph report that Aston Villa have pulled out of the race to sign the defender due to the fact the deal is considered too expensive. 13.29 GMT: Huddersfield Town winger Ramadan Sobhi is to join Egyptian Premier League club Al Ahly on loan when the January transfer window opens. Huddersfield coach David Wagner said: "Ramadan has been a little unlucky with circumstances this season. After a decent pre-season, he suffered an injury just before the start of the Premier League and it took some time to clear. "When he eventually regained full fitness, other players were ahead of him in the team and he hasn't been able to force his way into the line-up. He is keen for this loan move to happen and I think it is the best for everyone at this stage." 13.05 GMT: Everton youngster Kieran Dowell is going back on loan. The 21-year-old attacking midfielder was at Nottingham Forest last season and will now head to Sheffield United. 12.45 GMT: Maurizio Sarri coming over all Vanilla Ice in his Chelsea news conference when asked about Eden Hazard. 12.11 GMT: Arsenal just signed a new goalkeeper this summer, in Bernd Leno, but they'll probably need another one soon as Petr Cech is getting on a bit. OK Diario claim that Unai Emery is set to make a sensational move for Real Madrid's Keylor Navas after the club landed Thibaut Courtois a few months back. And he'd only cost €13m too! What a bargain. 11.34 GMT: Mundo Deportivo claim that PSG midfielder Adrien Rabiot and his mother's financial demands could end Barcelona's interest in signing him. Careful Adrien, or nobody will want to sign you at this rate. 11.06 GMT: Didier N'Dong (remember him?) was released by Sunderland and will now join Guingamp. The French announcement is rather beautiful: "pour le transfert du milieu Box to Box international gabonais Didier N'Dong." Nice to know box to box is internationally recognised. 10.08 GMT: Trabzonspor starlet Abdulkadir Omur is unlucky enough to carry the nickname 'The Turkish Messi' with him, despite being only 19 years old. He's done well this season which means big clubs are going to take note, given the comparisons, and Futbol Arena report that Liverpool and Manchester City have made enquiries about a £25m move for the attacking midfielder. 09.36 GMT: Portuguese paper Correio da Manha report that Porto defender Eder Militao has had his head turned by Manchester United's interest. Porto want to sign him to a new deal, and raise his release clause from £45.2m (€50m), but the paper claims he won't put pen to paper as he wants to move to Manchester. 09.05 GMT: Borussia Dortmund have made a €4 million offer for Rennes attacking midfielder Lucas da Cunha, footmercato reports. The 17-year-old helped the French club's under-17 team to the national title last season, and could follow in the footsteps of Ousmane Dembele, who left Rennes for Dortmund in 2016. 08.37 GMT: We're going to drag you in by claiming that the Chicago Fire have signed Marcelo. Then we're going to disappoint you by revealing that it's 29-year-old Brazilian centre-back Marcelo, who has played the past eight seasons in the Portuguese Primeira Liga with Sporting CP and Rio Ave. Not Real Madrid's left-back. 08.30 GMT: ICYMI the big one from last night: Juventus boss Massimiliano Allegri will be considered during Manchester United's hunt for a new manager, sources have told ESPN FC. They might have given up their lead at the top of the Premier League, but Manchester City will not try to sign anyone in January, according to The Guardian's back page, despite Barcelona seemingly stealing a march in the race for one of their main transfer targets. One of Europe's brightest prospects, Frenkie de Jong, is said to have agreed to personal terms with Barcelona over a five-year contract. Barca's technical director and ex-France international Eric Abidal reportedly held talks with the midfielder's representatives in recent weeks and appears to have made a breakthrough, despite interest from Bayern Munich and PSG, among others. 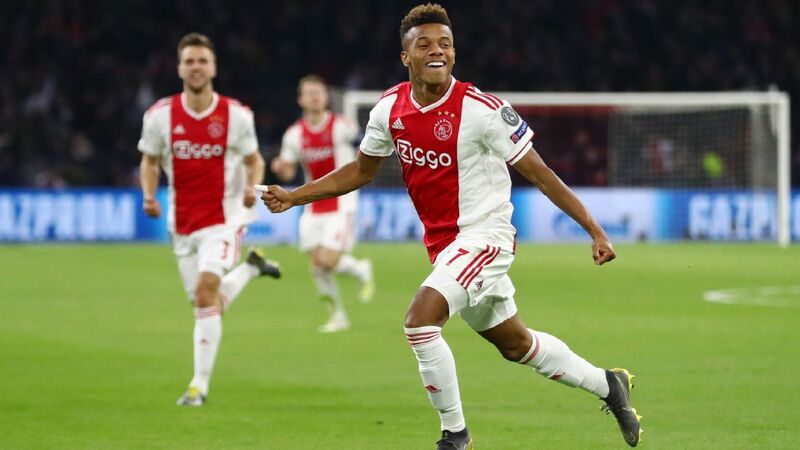 The deal isn't complete, though, as Ajax are still holding out for around £61 million, while Barca hope to pay less for the talented 21-year-old. 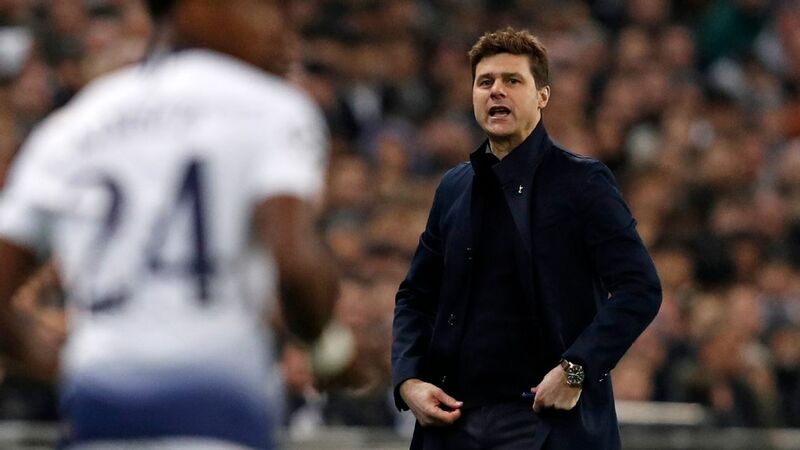 With Mourinho departing Old Trafford, talk of an approach for Tottenham boss Mauricio Pochettino has only intensified in the last week, but it is in fact Real Madrid who Spurs fear might tempt their beloved boss away, reports The Telegraph. Several publications have stated that United's hierarchy are prepared to pay a world record compensation fee to try to secure Poch's services. But The Telegraph claims sources close to Tottenham believe Real are a bigger threat to keeping hold of the 46-year-old, should they decide against retaining Santiago Solari as boss. If he stays, Pochettino might have the services of Toby Alderweireld for at least a year longer, though after Tottenham decided to extend his contract for a further year, despite a clause which allows him to leave for £25m in the summer until 14 days before the transfer deadline. It has been one of the longest running transfer sagas in recent months, but it seems like Real Madrid have finally agreed to a fee with Manchester City for Brahim Diaz, according to Marca. 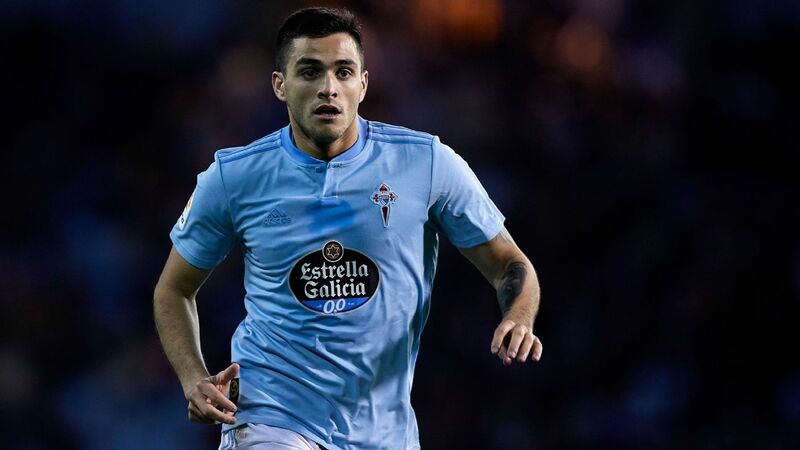 Diaz made it clear he wanted to join the Spanish giants some time ago, but City held on to the slim hope they could persuade him to stay, with his contract due to expire next summer. However, the Spanish publication's back page on Friday states the 19-year-old will be returning home to Spain five years after he left Malaga. The deal is said to be worth £13.6m plus add-ons, and the talented midfielder has agreed to a six-year deal. Real hope to unveil the new signing to fans and the media next week. Claudio Ranieri is remembered fondly by most in England after his successful spells with Chelsea and Leicester City, but he will not endear himself to the Fulham faithful with news he plans to swap their captain and fans-favourite Tom Cairney for someone who isn't a regular at fellow relegation rivals Newcastle United. 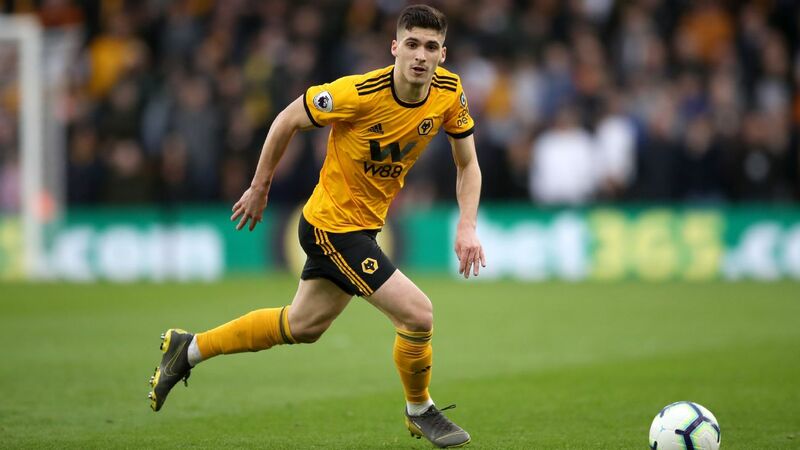 Cairney might have iconic status at Fulham after being integral to their promotion charge in recent seasons, but The Sun claims new boss Ranieri wants to swap him for Newcastle's Jonjo Shelvey. The ex-Liverpool man is no longer guaranteed a starting place under Rafa Benitez, who appears to favour Ki Sung-Yueng, and it is a similar story for Cairney in West London. Ranieri is keen to sign a defensive midfielder after switching to 5-4-1, whereas the talented Cairney is better in a more advanced role. Like Newcastle, West Ham are also long-time admirers of the 27-year-old and might reignite their interest in January. Turkish league leaders Istanbul Basaksehir have confirmed they have agreed to terms with Super Lig rivals Sivasspor over the transfer of former Brazil star and ex-Manchester City flop Robinho. The details about the deal have yet to be released, but he will be reunited with former City teammate Emmanuel Adebayor. Ramsey is set to depart Arsenal next summer, when his current deal expires, after 10 years at the club. However, PSG are hoping to sign the midfielder even earlier in January, after holding talks with the player. Juventus, Barcelona and a host of other clubs are also chasing the 28-year-old. Barca announced the loan arrival of Jeison Murillo from Valencia on Thursday, but that didn't stop technical director Eric Abidal being asked about PSG's Adrien Rabiot at the unveiling. Abidal refused to discuss the move, adding fuel to the fire that the La Liga side hope to land the 23-year-old star on a free next summer when his contract expires or potentially in January, with Diario AS claiming they are considering an earlier £4.5m move. Real Madrid's desire to land Eden Hazard has seen them offer not only Mateo Kovacic but also Isco in exchange, according to several reports. The 26-year-old is regarded as one of Europe's best, but he has fallen out of favour under new Madrid boss Santiago Solari. Brendan Rodgers has made Atalanta's Timothy Castagne his No. 1 target in January, according to the Daily Record. The 23-year-old became a Belgium international this year, and it is believed he would cost around £6m.